It is said that a ladybug brings good luck. When Lady Luck ring lands on YOUR finger, you`ll know the saying is true! 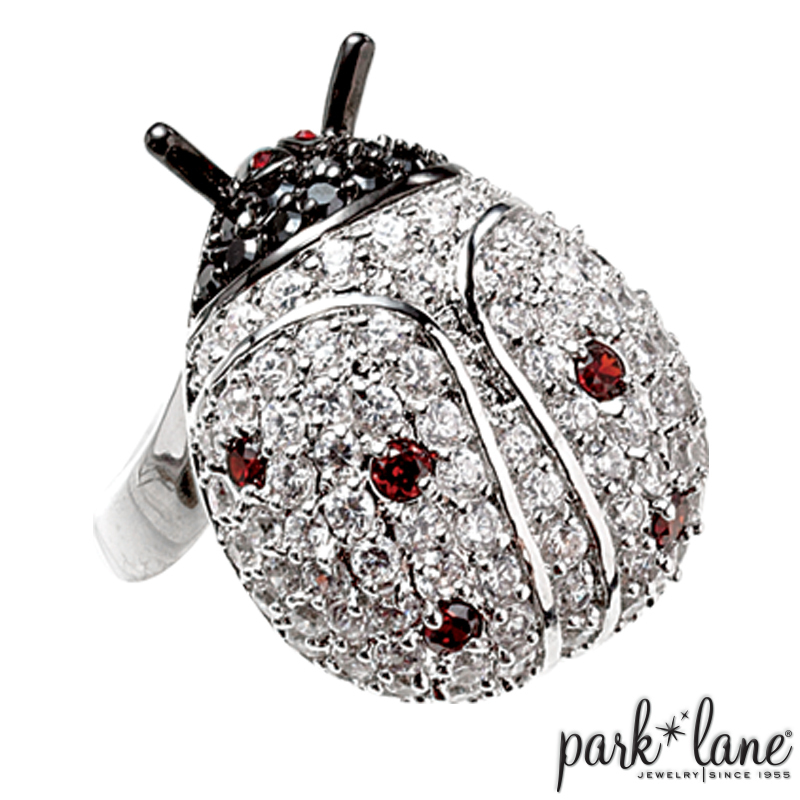 Knuckle to knuckle glitz, the ladybug-shaped ring is ablaze with sparkling clear Swarovski crystals and features jet and ruby colored crystal accents. You`ll be one "lucky lady" when you slip on this adorable ring! Available in sizes 5 -10.